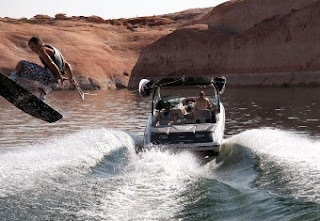 Professional Watersports Charters Lessons or instruction — pop out on the water for a few hours or enjoy the whole day out on Utah lake, Deer Creek with our professional water sports charter service. Don’t have a boat? Or don’t want the hassles of boat ownership come ride with us. We offer lessons, instruction or just wakeboarding, water skiing, or wake surfing sessions. Try one of our Ultimate wake surf boats a Centurion Enzo with surf package added Enzo sacks with plenty of ballast topped off with a switch blade creating the ultimate wave. Wake Surfing — for those who want to enjoy Water sports with low impact great for seniors looking to be on the water but don’t want to take the risk of wakeboarding and waterskiing. Wake surfing is the new craze in Water sports and TK Watersports is equipped with the best wake surfing boat available. TK Watersports will provide wake surf lessons offering top notch instruction for all levels of riders. TK Watersports, we your wake surfing specialist.